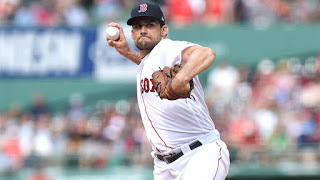 Nathan Eovaldi's eight shutout innings set the tone for a 4-1 Red Sox win over the Yankees at Fenway Park Saturday afternoon. The Boston righty faced just two batters over the minimum, allowing three hits and a walk while striking out four. Eovaldi (pictured) improved to 5-4 on the season and has pitched 15 consecutive scoreless innings since being acquired in a trade on July 25. Mitch Moreland gave the Red Sox a 2-0 lead in the bottom of the first with his 13th home run of the year. It came off New York rookie Chance Adams who was making his MLB debut. J.D. Martinez made it 3-0 in the bottom of the fourth with his 33rd home run of the year. 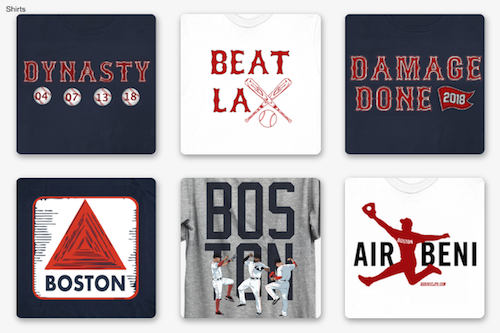 The final Boston run scored in the seventh on a ground-rule double by Sandy Leon that was initially ruled foul but overturned on a challenge. Craig Kimbrel made things interesting in the ninth allowing a pair of two-out doubles and two walks before finally getting Greg Bird to fly to center for the final out. With the win, Boston moved 8.5 games ahead of the Yankees in the American League East (7 in the loss column). It marked the first four-game losing streak of the season for New York who are 18-19 in their last 37 games. The Red Sox are now 44 games above the .500 mark. The game lasted just 2:33, coming on the heels of Friday night's 2:15 affair. 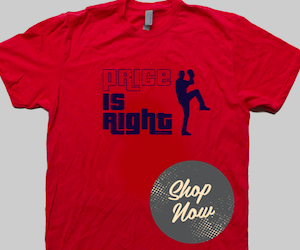 David Price goes for the Red Sox Sunday night in an effort to complete the four-game sweep.